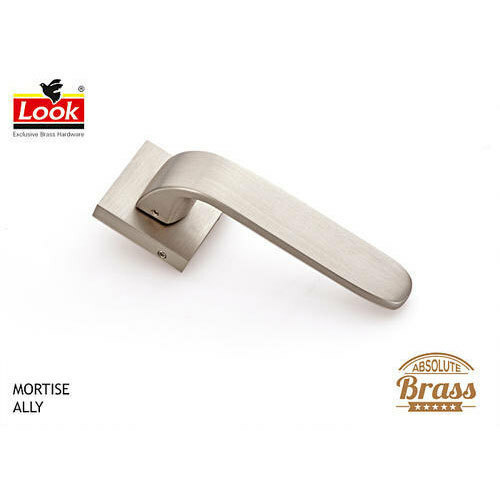 Being one of the renowned firms in the industry, we are involved in providing a high-quality array of Brass Mortise Door Handle. Established as Partnership firm in the year 1995 at Jamnagar (Gujarat, India), we “Vishwakarma Products” are a renowned manufacturer of premium quality range of Mortise Door Handles, Wall Shelves, etc. We are We provide these products at reasonable prices and deliver these within the assured time-frame. These products are widely demanded by for their sturdy design immaculate finish and high tensile strength. Under the headship of our mentor “Mr. Anand Vadgama”, we have achieved a noteworthy position in the market.